Probably like many other gig goers, I occasionally feel like I’ve turned up too late to the party to see legendary live shows. Completely untrue obviously, but with concert footage of any given artist now at your fingertips, a pang of envy sometimes takes hold for that disinterested crowd member in the corner of the screen during a seminal, spine-tingling performance by a band in their prime. Recently, this feeling was not helped by the Friars Music Club exhibition at Buckinghamshire County Museum, which extensively details the illustrious heyday of Aylesbury’s premier music venue, now 45 years young. 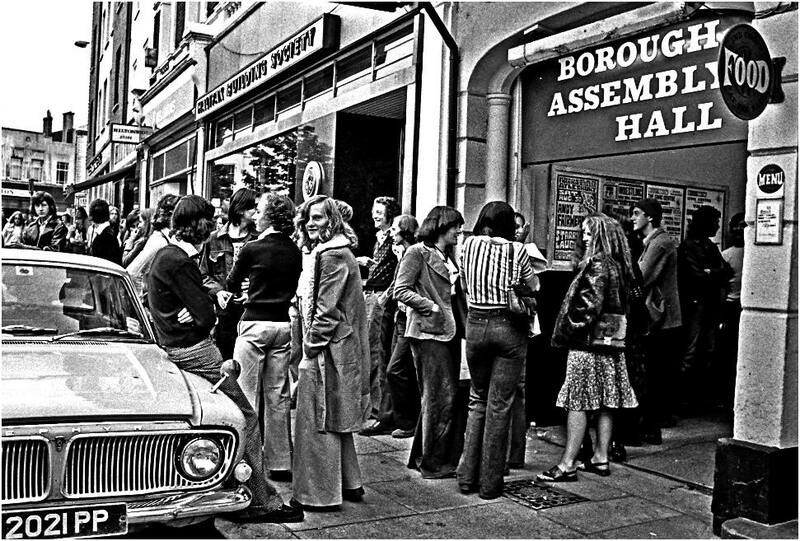 During its lifetime the club has had four different phases inhabiting various venues across Aylesbury: Phase one at New Friarage Hall from June 1969 to July 1970; Phase two (“The Golden Era”) at Borough Assembly Hall from April 1971 to August 1975; Phase three at Aylesbury Civic Centre from September 1975 to December 1984, then June 2009 to June 2010; and phase four which currently resides at Waterside Theatre since October 2010. In addition, Friars also hosted “Foreign Gigs” in neighbouring towns and even as far north as Newcastle and Liverpool. Over the years Friars played host to pretty much any influential group you care to think of between 1969 and 1984. David Bowie? Played Friars. The Velvet Underground? Played Friars. Pink Floyd, Blondie, Talking Heads, The Clash, U2, Grandmaster Flash, Toots & The Maytals, John Martyn, the list seemingly goes on forever. Offering equal chances to underground bands like The Birthday Party and Captain Beefheart or local acts Marillion and Warren Harry, Friars Music Club and its members welcomed everyone with open arms. “I know Mott The Hoople happened in Aylesbury long before anywhere else,” commented Mott frontman Ian Hunter. 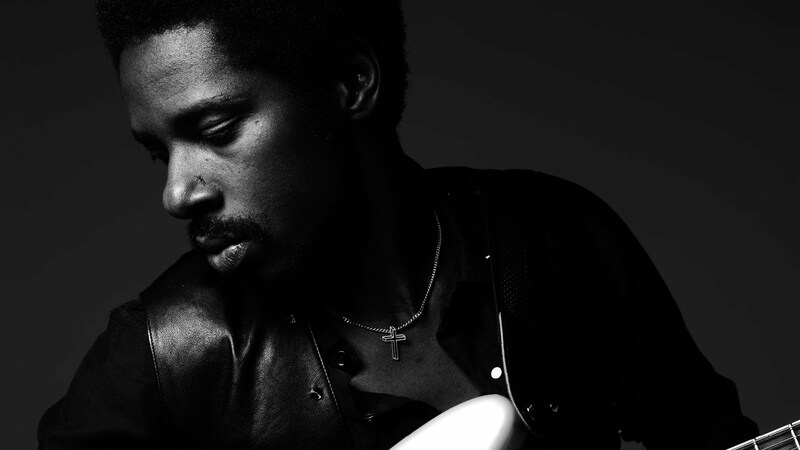 “Everybody seems to be friendly, and they make you feel good – and whenever I played there, I felt like an old friend being welcomed home”. The dizzying list of Friars alumni and the glowing testimonials many have offered is impressive enough, but more than this the exhibition emphasises the seminal place Friars Music Club holds in music history. Friars quickly gained a reputation as an essential proving ground for bands to hit on tour and for picking up on bands before they broke into popular consciousness. Black Sabbath played just prior to the release of their debut album. Genesis honed their stagecraft there in the early days, with Steve Hackett remembering “there was a warmth and enthusiasm from the crowd that acted as a morale booster when other hearts were harder to conquer”. Even Rob Stringer, current CEO and Chairman of Columbia Records, started off as front of stage security at Friars: “When he was at the local grammar school he started working for us where he got into music really and has ended up going right to the top of the record business in America”. Most notably, David Bowie premiered material from Hunky Dory during his first appearance at Friars on 25th September 1971. Three months later on 29th January 1972, Bowie returned with The Spiders From Mars and performed as Ziggy Stardust for the first time. The rest is history, and Bowie clearly recognised the pivotal role these shows at Friars played in his career when he texted Stopps hours before the exhibition’s opening night on 28th January. “Memories are everything apparently,” the text read “and I have only great ones of the fabulous Friars”. Remembering receiving the text Stopps says “I didn’t think it would be emotional, but it was and it was fabulous. Just a fabulous thing to get a few hours before we opened. I don’t think he does that for many people so it was particularly special coming from him”. Friars kept its finger on the pulse of contemporary music and moved with the times, repeatedly proving its relevance in staging bands of the moment. 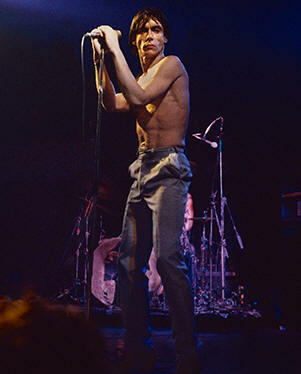 As punk rose in the ‘70s Friars played host to MC5 in 1972 and Iggy Pop (with Bowie furtively appearing on keyboards) in early 1977, but it was when The Ramones played in May that year which punk truly arrived in Aylesbury. After a local campaign by Colin Keinch, The Ramones came to Friars on their tour with Talking Heads and delivered a blistering 45 minute set that fully kicked open the doors to the many punk and new wave acts that would play Friars. 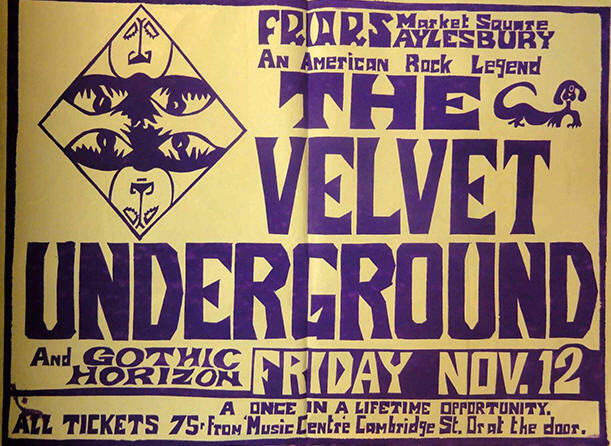 The Greatest Stiffs live showcase brought Ian Dury, Elvis Costello and Wreckless Eric later that year and the following year would see Friars put on their biggest open-air gig in Aylesbury’s Market Square, which saw local punk acts play to an estimated 20,000 people. 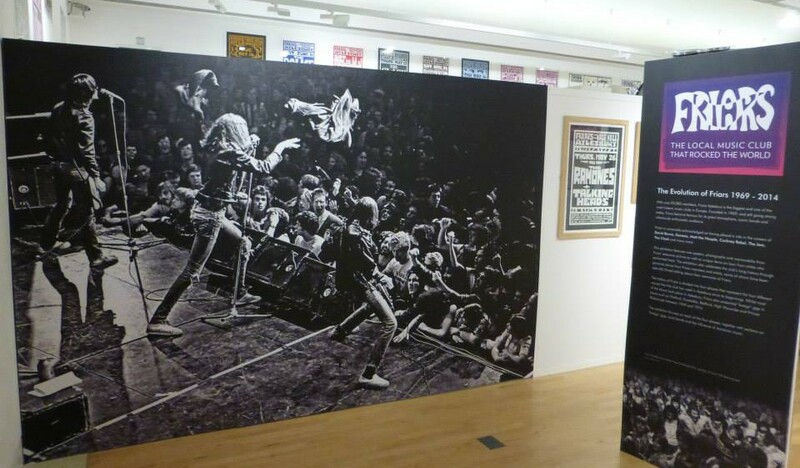 During the nationwide backlash against punk culture during the summer of 1978 when councils around the UK were putting bans on punk shows, Friars again showed their prescience by working with Aylesbury Vale District Council to bring The Clash to Aylesbury in June 1978. A strong relationship was forged with the band, who would return with The Slits in December 1978 and chose Friars for the opening night of the London Calling tour in January 1980. They would go on to play to 2,000 people at Friars biggest indoor event during the Combat Rock tour of 1982. I asked David Stopps if there any performances which stick out as particularly memorable? “If I had to pick one it would be The Kinks [6th August, 1980, Maxwell Hall], that was just a phenomenal gig. To me they’re like the universal band: they’re a sixties pop group; they’re a punk band in their own sort of way because they’re all pretty edgy’ they’re a rock ’n’ roll band; and a folk group. They were everything, they were the universal band for me. Obviously the Bowie gigs stand out as being incredible and lots of others. The Ramones come to mind, particularly astonishing gigs. Kate and Anna McGarrigle were absolutely magical”. Sadly in December 1984 Friars closed its doors due to financial difficulties and so 25 years of silence ensued. “When we stopped in 1984 I was surprised that nobody took it on and did their own thing along similar lines,” says Stopps. “But, nobody ever did and the venue was just sitting, it wasn’t like the venue closed or anything. There were a few concerts here and there between 1984 and 2009 that other people put on but, not many and I was quite disappointed that nobody sort of picked it up and ran with it. Now there’s quite a lot of local band activity at the moment which is encouraging and there are a lot of little venues putting on gigs again where a few years ago that wasn’t the case. So I’m reasonably encouraged about that”. When Friars fan Mike O’Connor started putting together a Friars Music Club website in 2007, David Stopps was astonished by the in-depth charting of the venue’s history and the interest the website generated. Inspired by his enthusiasm, Stopps and co. decided to resurrect Friars for a one-off gig in 2009 to celebrate its 40th birthday, which featured Friars veterans The Pretty Things, Edgar Broughton Band and The Groundhogs. The success of that gig lead to further shows from Stiff Little Fingers and Paul Weller, and Friars has continued ever since. With interest in the club reignited by the exhibition, Friars Music Club are now looking to the future with a mixture of current and new bands to come. “Whilst we’ve been looking back since 2009, although Paul Weller is still pretty current in his own way, we are looking through to the new bands breaking through at the moment,” reveals Stopps. “We were going to put on Bastille last year and they wanted to do it, we wanted to do it, but we just couldn’t find a date. We could see it coming before they had the hit single [Pompeii], it’s just such a shame we didn’t get them. But anyway, we’d like to think we’re still quite good at that but we’ll see!” Friars have lost none of their edge it seems, finger still on the pulse. Friars Aylesbury: The Local Music Club That Rocked The World runs until Sunday 6th July at Buckinghamshire County Museum. You can learn more about Friars Music Club here. Photo credits: Mark Jordan, Martin Percival, Geoffrey Tyrell. [From The Cutting Room Floor]: Eric Andersen, The Smiths and Bob Marley & The Wailers. If the mark of an artist is the company they keep then Eric Andersen can be ranked up there with the best of them, having rubbed shoulders with Bob Dylan, Townes Van Zandt, Joan Baez, The Band, Lou Reed, Patti Smith, Andy Warhol and William Burroughs to name but a few. While Andersen has not shared as much of the limelight as his Greenwich Village folk scene contemporaries, his vivid songwriting about love in all its expressions has influenced and been covered by countless artists in the singer-songwriter tradition and in 2003 he was awarded the Premio Tenco for outstanding songwriting, an award previously won by Tom Waits, Leonard Cohen and Nick Cave (again, the company you keep). While later versions of ‘Close The Door Lightly When You Go’ have gathered a more upbeat pace, none of them have the same raw sense of self-loathing and loneliness as the original found on Andersen’s second album ‘Bout Changes ‘n’ Things. A documentary taking in Andersen’s ongoing fifty-plus year journey as an artist entitled The Songpoet is slated for release later this year. Morrissey is set to release his tenth solo album World Peace Is None Of Your Business in July (announced by way of a tongue-in-cheek music video), and while he tends to divide opinion like Moses parts large bodies of water you’d be hard-pressed to deny the emotional weight he lends to this stripped down version of ‘Back To The Old House’ lifted from a John Peel session in 1983. Nostalgia drips from Johnny Marr’s honeyed arpeggios, complementing the forlorn quality in Morrissey’s tenor and the palpable ambivalence conveyed through understated images in lines such as “When you cycled by, here began all my dreams, the saddest thing I’ve ever seen”. Replete with sultry rhythms from the Barrett brothers and beautiful harmonies from Peter Tosh and Bunny Wailer, ‘High Tide Or Low Tide’ makes perfect listening for the nights drawing longer. It was recorded during the sessions for The Wailers’ Island debut, Catch A Fire, which would begin Bob Marley’s meteoric rise to become the Third World’s first superstar, but didn’t make the final tracklist. 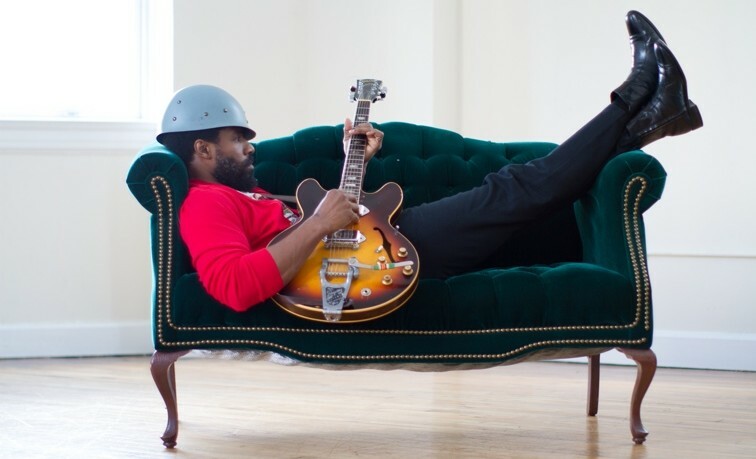 However, positioned alongside the social commentary of ‘Concrete Jungle’ and ‘Stop That Train’, this soulful ditty of solidarity and friendship shows the scope of Marley’s songwriting even at this early stage and it is this sense of peace and love he would infuse much of his music with throughout his career.